I have had to stop looking for several years. 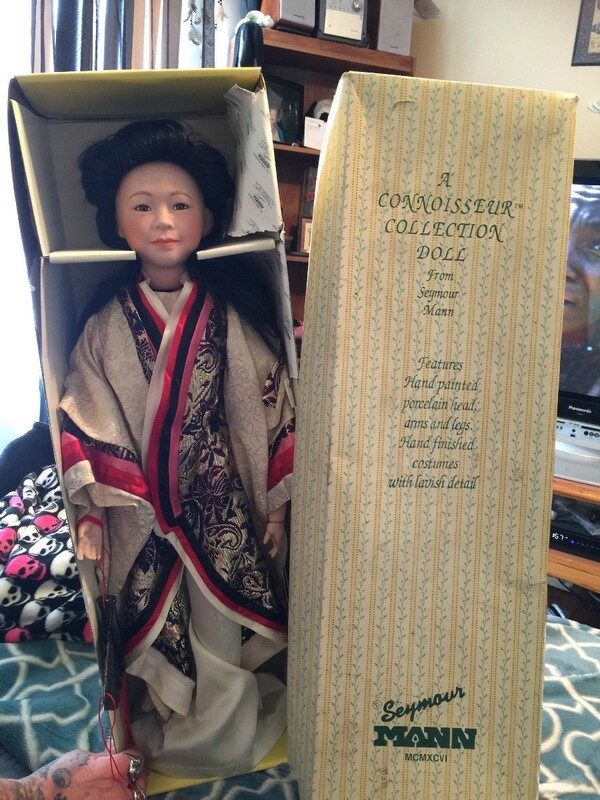 I am looking to get rid of it, but cannot find the details or information on this doll. It is a Connoisseur collection doll from Seymour Mann. MCMXCVI, style number C 26285. It is a geisha doll. Start your search at www.dollreference.com.